ThemeVault's website templates are professionally designed and available in both free and premium section. Visual effects with luxurious colors are the best feature these templates can offer. 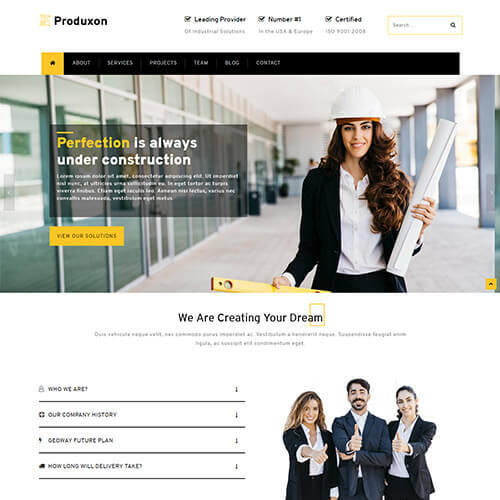 These professionally designed corporate templates can be used in many fields like accounting, advertising, insurance, management, marketing, manufacturing, outsourcing and so on. Many of then also include social media integration, client's testimonials, contact form, maps for the location, subscribe form etc. To reach out to the customers, you must have an online presence through a website. To gain more customers, to grow your business or to achieve high in this niche interest group one must have to go online. 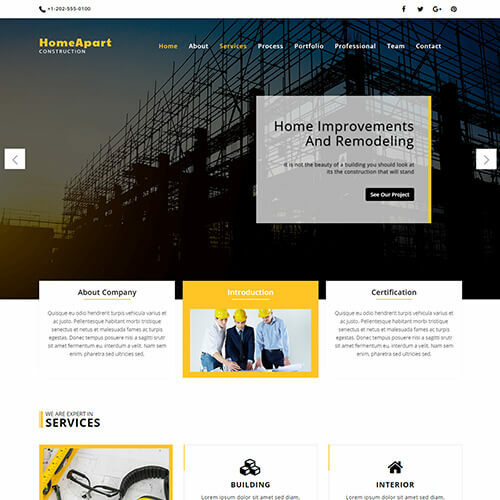 All templates are very code-light, quick to load, and has a clean look that is ideal for your business. 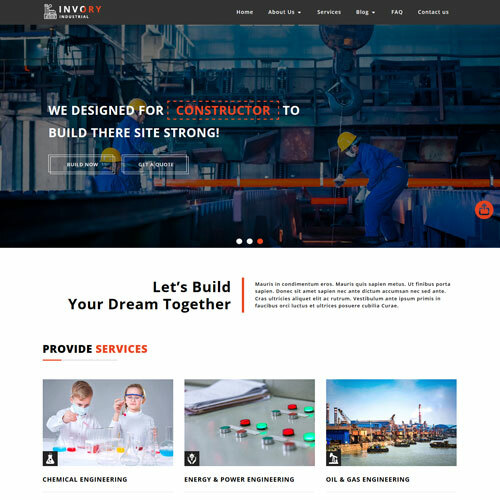 So, download industrial website templates available on ThemeVault. The templates are entirely built using HMTL5, CSS3, jQuery, and Bootstrap framework. The template is 100% responsive and can be easily customizable as per your requirement. View the demo for better understanding.